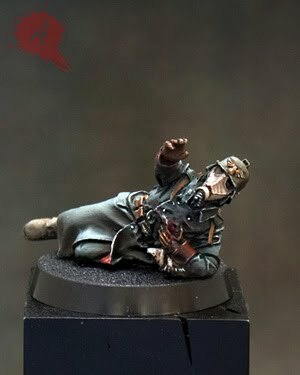 Starting to publish pictures of the Krieg Quartermaster at last finished, even I didn´t finish to take pictures of them. Today I show you the capelian that is going to give mercy to a hurt soldier. 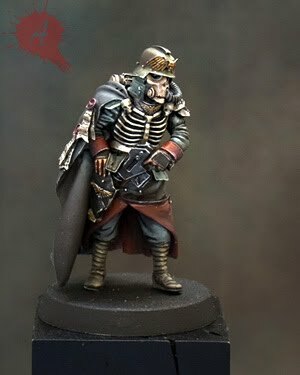 Very, very nice and the tones on the coat are really superb. Fantastic job. Great ambience. Keep it up!